Hello everyone and thanks for reading. It’s Annalise here, Natasha is off on holidays so I will be updating everyone with our news while she is away. 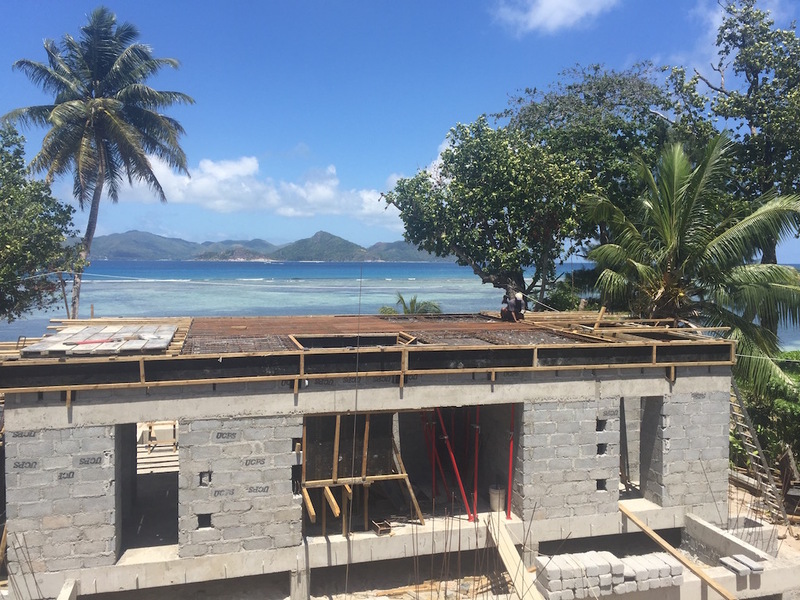 What a busy month we have had on site at Le Nautique La Digue! 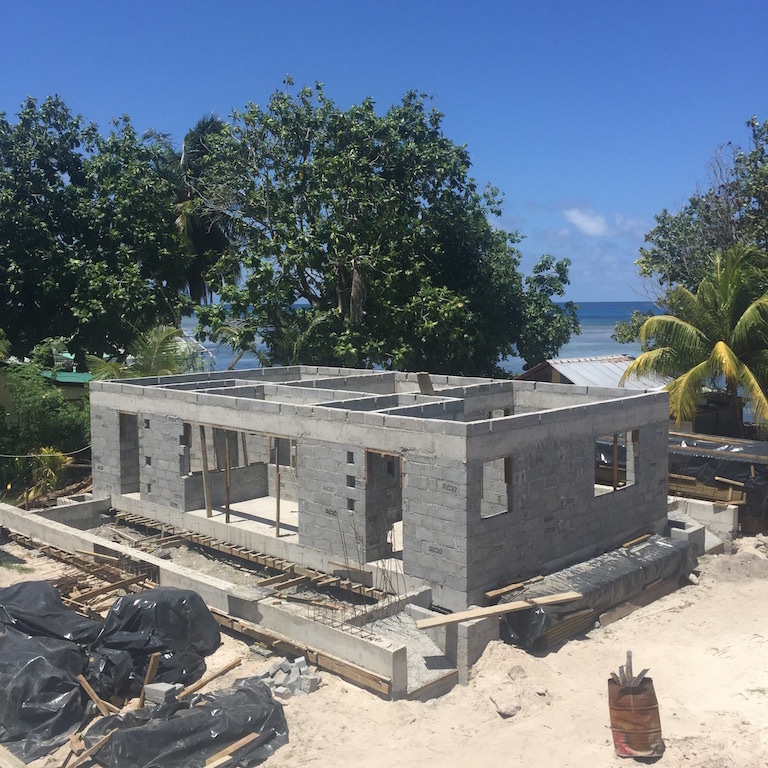 The site is really starting to take shape and it’s now becoming easier to visualise how truly special our little slice of paradise is going to be. Could that view be any better? Imagine drawing back the curtains of a morning to this! 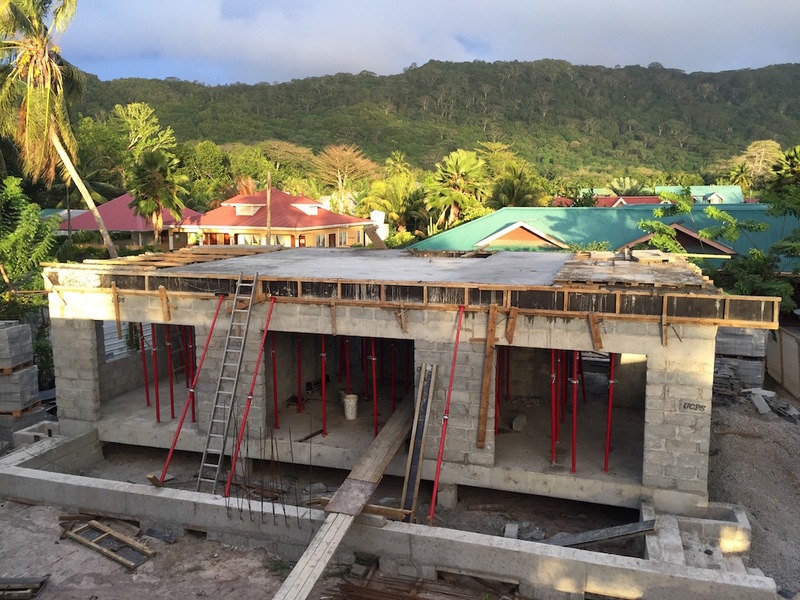 Over the last month the team has finished all ground floor slabs and blockwork for the three main buildings and has been preparing for the pouring of the first floor slabs and internal staircases. Two days, one digger, two wheelbarrows and many exhausted men later and two of the three first floor slabs and internal staircases are complete. Words cannot describe how happy Natasha and I are that we can now walk up a flight of stairs and stand on solid ground to gaze out over the view, as opposed to scurrying up a ladder, balancing on timbers and then feeling faint at the thought of going back down the ladder again. Walking around the first floor we can visualise where all our purchases from all around the world will be situated and daydream about walking up to that view! It’s all starting to feel so real and we are all so excited! In other news, at the start of the build we inevitably had to remove some trees to make way for the buildings. 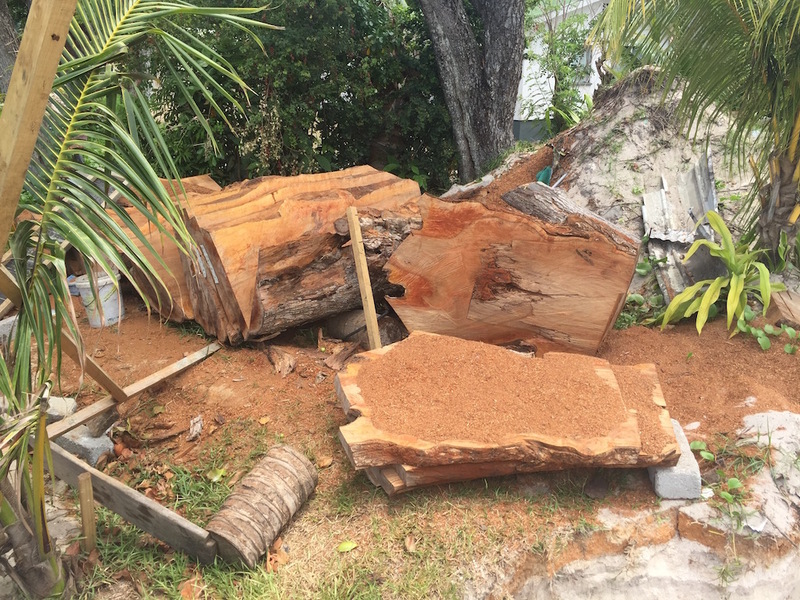 One of these trees was a mature Bodamier tree and thankfully we were able to save the trunk and have it cut into large slices which we will use as furniture pieces within Le Nautique. Its so nice to know that we can carry the history of our land into the future with us in some way. 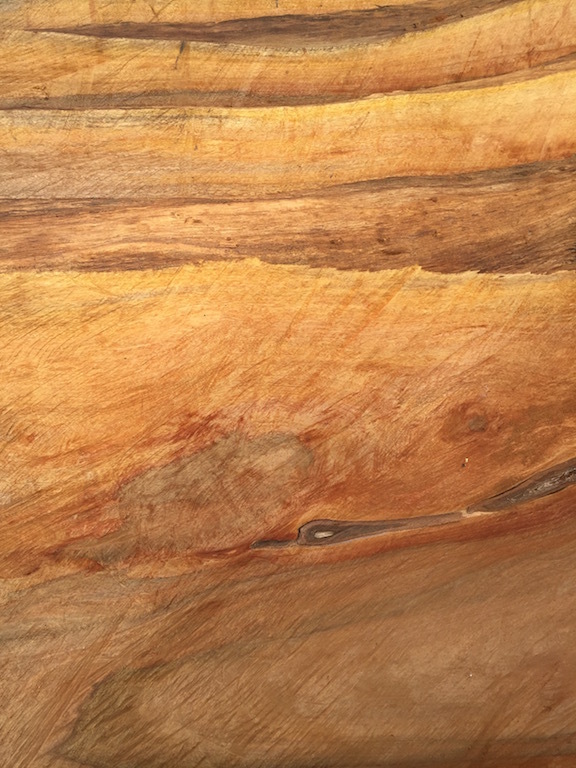 We have just seen the cut pieces of wood and it is stunning! The colours and patterns are amazing – have a look at the photos below. So where to from here? Well Natasha and Stuart begin their long trip back to Australia to celebrate Stuart’s brother Thomas’ wedding and the remainder of us will keep the progress going on site. I would say “some of us have to work” but is life in the Seychelles ever considered work? 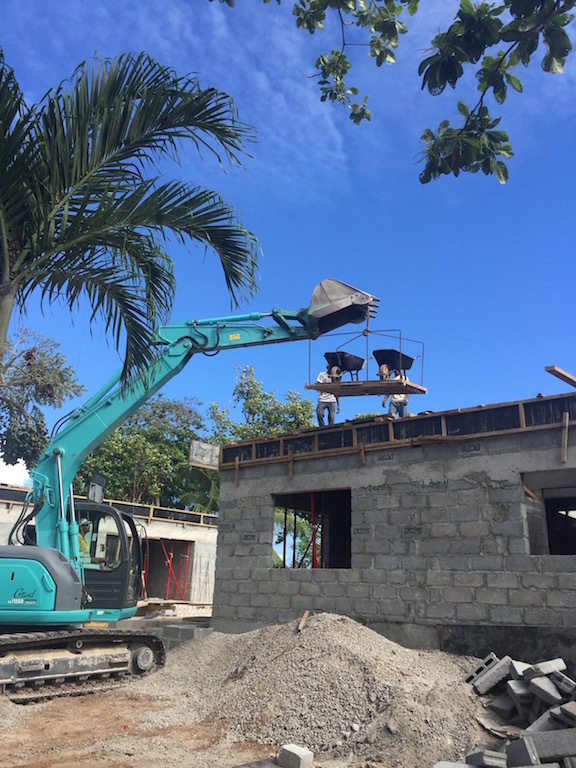 Things will start changing rapidly on site now, as we concentrate on the remaining first floor slab and the first floor blockwork and following those… the roof goes on! 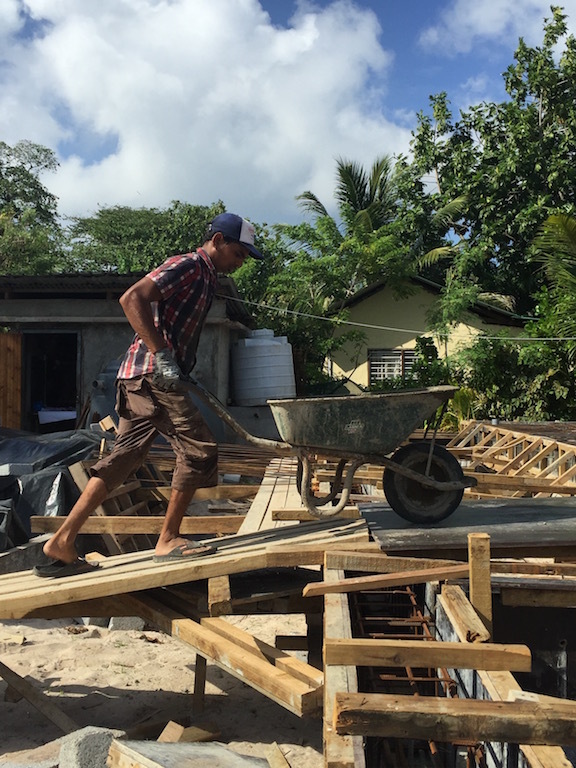 So stay tuned for more construction updates and information on our beautiful islands.